A large portion of the $426Million budget presented by Premier and Minister for Finance, Hon. Andrew Fahie on 2 April will be allocated to the health (20.9 percent) and education (15.4 percent) sectors as the BVI Leader stated that this is done to ensure that the government delivers on its empowerment promises. Further Hon. Fahie in his almost one-hour budget address explained that this budget is a transitional one: “We would have liked to have seen a greater investment on the capital side, but we accept that the 2019 budget is indeed a transitional budget,” he stated. The Premier announced that the total budget this year is $426,112,972 million dollars. This, will comprise of $331,742,666 million on recurrent expenditure and $73, 123, 846 million on capital projects. Hon. 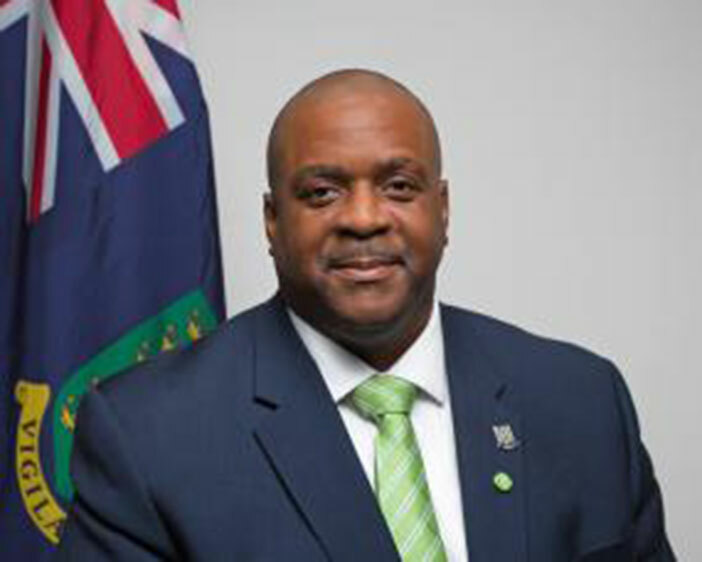 Fahie said that the budget estimates comprises of $10.6 million in capital acquisitions, and $62.7 million in infrastructure development across the Territory. As it relates to allocations, it was noted that the Ministry of Education, Culture, Youth Affairs, Fisheries and Agriculture, will receive $12,962,500. He said that 16.7% of that has been allocated to the restoration of the L-Shape building, as well as construction of classrooms and support facilities, including all internal and external work at the Elmore Stoutt High School. This allocation is also expected to provide rehabilitation works at various basketball courts throughout the Territory, full reconstruction to assigned buildings at the Bregado Flax Secondary School and the procurement and construction of temporary classroom facilities at the Elmore Stoutt High School campus. For the Ministry of Health and Social Development, the Minister for Finance said that $6,552,125, or 10.2% of the Development vote has been allocated to various capital initiatives, including ongoing work at the Nurse Iris O’Neal Clinic on Virgin Gorda. He also noted that efforts will also continue to upgrade the clinics throughout the Territory, to update the existing health information system, and to move the Dr. D. Orlando Smith Hospital towards obtaining accreditation. Additionally, the Premier announced that for 2019 Government provided an additional $5,000,000 to the NHI as the balance of the seed funding that was due since the beginning of the scheme, thereby bringing the total allocation to forty-seven million dollars $47,000,000. The Ministry of Natural Resources, Labour and Immigration was allocated $3,230,275, or 4.4% of the entire Development vote. This, Hon. Fahie said will assist with the continued restoration of the Territory’s national park structures such as the J.R. O’Neal Botanical Gardens, as well as undertake rehabilitation works at the visitors’ centres throughout the Territory. It was announced that funding has been allocated for the removal and disposal of derelict vessels in preparation for the upcoming 2019 hurricane season. According to the Premier this move will also aid in enhancing residents’ and tourists’ experience throughout the Territory. The percentage distribution of each Ministry’s recurrent budget allocation was: 2.7 percent for Constitutionally Established Departments; 11.5 percent for Governor’s Group; 10 percent for the Premier’s Office, 13.4 percent for the Ministry of Finance; 2.7 percent for the Ministry of Natural Resources, Labour and Immigration; 15.4 percent for the Ministry of Education, Culture, Youth Affairs, Fisheries and Agriculture; 20.9 percent for the Ministry of Health and Social Development; 14.6 for the Ministry of Transportation, Works and Utilities; 8.7 percent for Pensions, and Public Debt and Funds Contributions. Hon. Fahie said that care has been taken to ensure that the budget meets the needs of the ordinary citizen and he said that the payment of overdue increments is one of the ways the Government intends to do this: “The payment of two years of increments due to the hard working public officers will be paid this year. The payment of the third year will follow in the next budgetary cycle,” Hon. Fahie explained. He also pointed out that employment is a big part of the Government’s immediate plans and the Premier noted that funds have been allocated for training of young people in the marine sector at various levels. “Mr Speaker as a means of facilitating youth employment, we are proposing to partner with private business to employ our youth, for which we will cover 10% of the salary for the first year. Of course this initiative will have a training component attached. This initiative is one of many ways that we will significantly assist with your government’s commitment of 1000 jobs in 1000 days. Expect a detailed roll out in the next 30 days,” he added.